Watch the presentation on our Youtube-channel here! 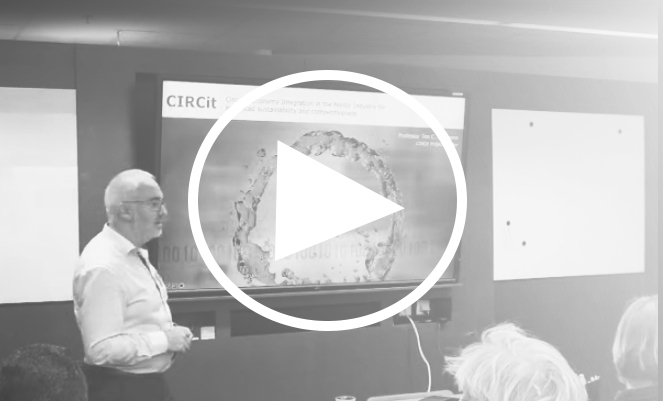 The CIRCit project is a three-year mission to accelerate the Nordic industry to move towards circular economy and modern sustainability thinking. Yes – but how? This video describes the project from a product point of view, the video were recorded during a presentation by Tim C. McAloone on the Nordic Green Growth Research and Innovation programme kick-off meeting in Oslo September 13th. How does this translate to your product? Welcome to contact us or join on any of the workshops coming up in your country!